A few months back, another BookCrosser released a book at a place called Lester’s, for a Bookleggers event. The journal prompted me to immediately find out more about Bookleggers. The name is ingenious for this little sleathy pop-up library. Visitors get a free book, or more if they bring some to trade or pay $2 per book. My first reaction was, this is such a cool idea! 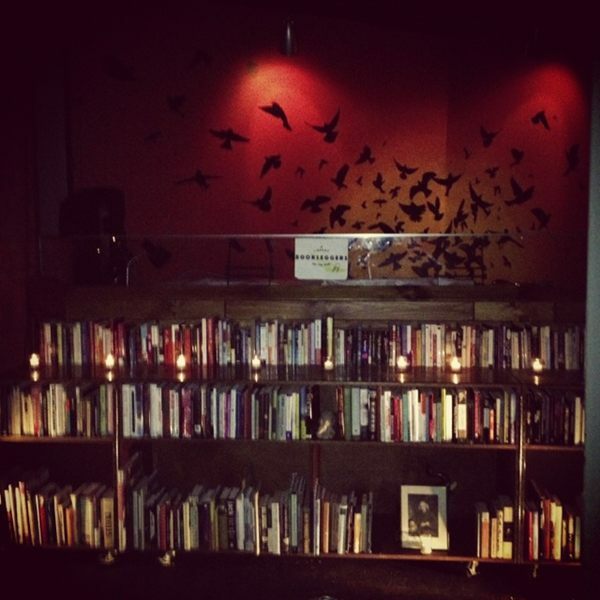 And, being a BookCrosser, my second thought was naturally that this would be a great place to release some books. It is a bit tricky trying to find Bookleggers, as they are “a library on the run.” Their website doesn’t post a schedule, though they announce their upcoming events on twitter. As their last two events happened on the last Thursday of the month at Lester’s, I presumed it would be their schedule, until by chance I checked my tweets and found that they would pop up the third Thursday of October at a bar called Blackbird Ordinary. Now, my clubbing and pubbing days were long behind since I got married, and it is hard to imagine a library inside a bar. 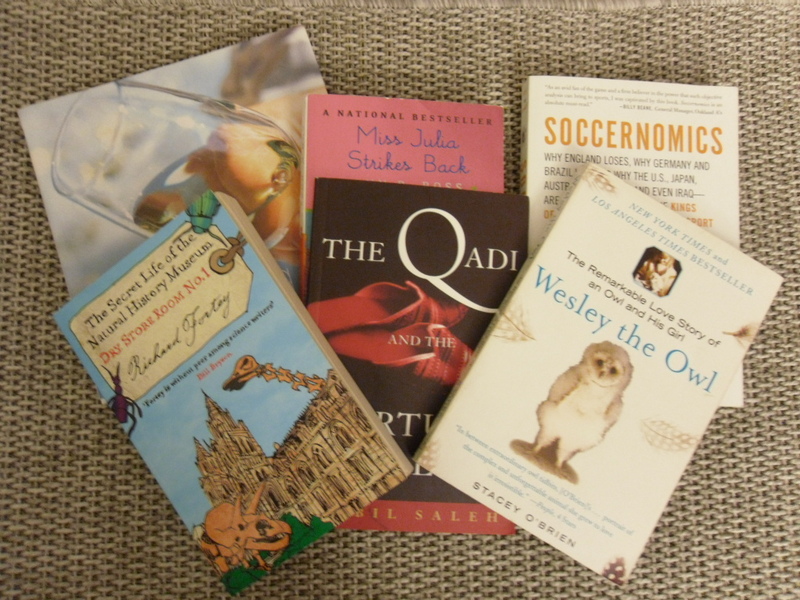 Low lights, loud music, smoke, drinks… with some trepidation I ventured out anyway with a bunch of BookCrossing books. Despite the fact that I downplayed the bar part, and up-played the books and library (spells BORING) part, my hubby must have sniffed something amiss as he offered to go with me rather than staying home after dinner. “Hmmm… they have bouncer? What kind of place is this library thing at? It looks seedy…” commented my hubby as we passed by the place, searching for parking spot. “Well, that’s a security guard… Library has security guards too… don’t they?” Thursday night at Brickell seems to be a busy night (so I told you we haven’t gone out in a long while…) and it was hard to find parking on the street, and flat evening rates in lots were too pricey for our purpose. Turns out a blessing that my hubby came along, so he could occupy an empty space under a No Parking sign while I went into Blackbird Ordinary. It was easy enough to spot the impressive line of shelves, filled with books. This is an official photo posted by Bookleggers, as mine come nowhere as nice. 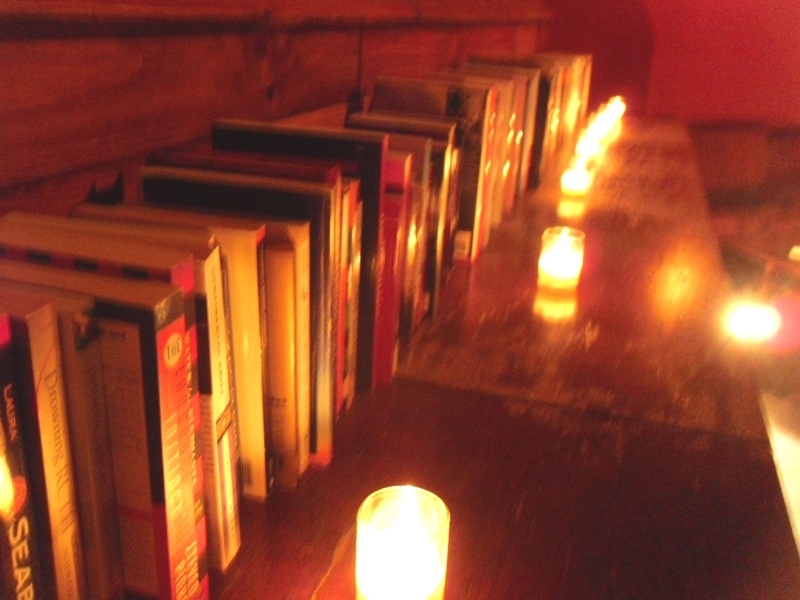 There was a line of little candles, which I hold up to read the book spines. The collection is very high quality, few romances or thrillers, but more on the literary, classics, and the like. They even sort them by fiction on top and non fiction below. A lot of great books! I was determined not to take home more books than I took out, and barely keep that resolution. I was hoping to find the BC books that was released a month or two back, but I forgot the title, and it felt a bit like cheating to hunt for it. One of the organizer did remember about some BookCrossing books being dropped off in the past. A few of them are wishlist books for my BookCrossing friends. There is a beautiful book on wine tasting, and a book about Natural History Museum. Can’t say it’s a wishlist book as I never knew it exists, but I enjoy visiting Natural History Museum wherever I go, so this book is my great find of the night! The Qadi book is a fiction based in Beuirot and came highly recommended by one of the organizers. When I checked out at the library, (yes this is a library… no card to fill but you don’t just walk out with an armful of books) I was kindly reminded again that I could have taken more books and I had to politely but steadfastly decline. 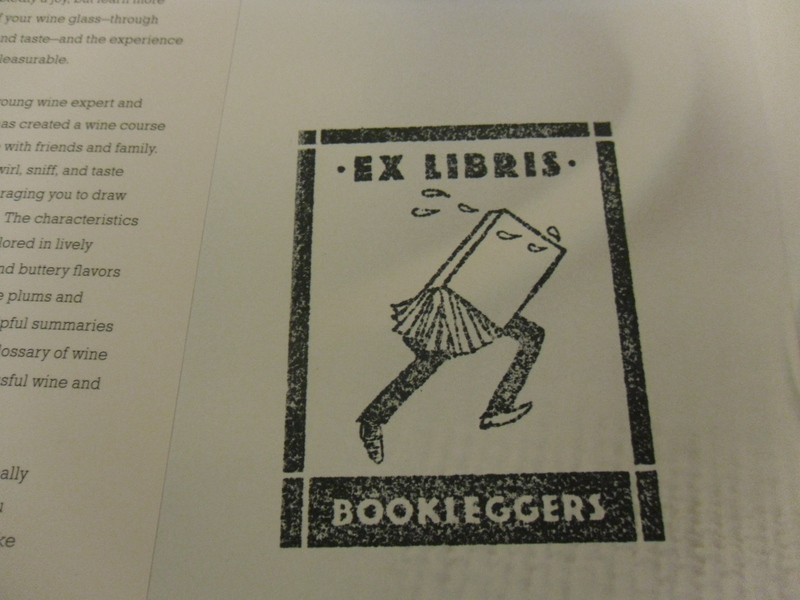 They stamped each book with a nice Bookleggers stamp. I had so much fun, I am already starting to save up books for my next round of Bookleggers visit! Huge kudos to the guys who started this. A total labor of love – and serious labor too, with hundreds of books to tote around, set up and take down. Seriously, if you are in South Florida, check it out and give them some support!